PROVO, Utah – The 2018 World Intercontinental Futsal Cup (WIFC) kicks off next month in Bangkok, Thailand (August 27-September 2) and representing the CONCACAF region will be Utah Elite Futsal. 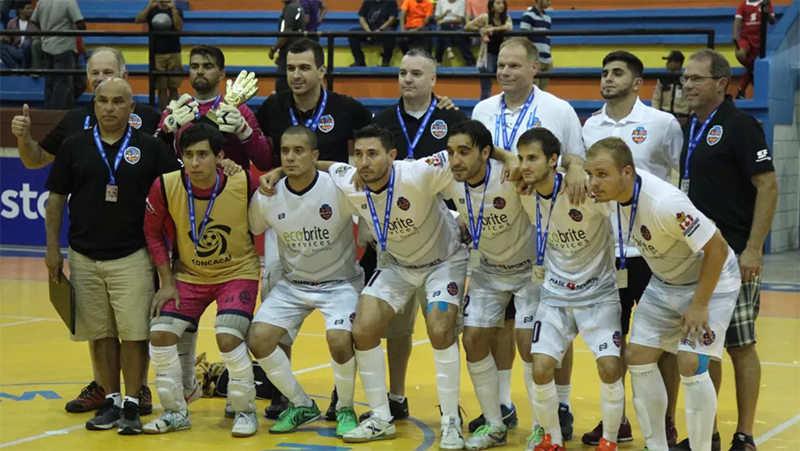 The 2017 U.S. National Futsal Championship winners finished in second at the 2017 CONCACAF Futsal Club Championship (CFCC) in Honduras after falling narrowly to Costa Rica’s Grupo Line Futsal 5-4 in the final. However, it will be the Provo, Utah-based team that will be making the trip to Thailand and to have the opportunity to represent CONCACAF on one of Futsal’s biggest stage is an experience that Elite Futsal will savor. “It’s a huge privilege for us,” said Ray Fuchs, the team’s Delegation Chief, to CONCACAF.com. “We were looking forward to it since we almost beat Grupo Line Futsal in the finals at the [CFCC] if not for a last second goal and playing down four players due to injuries,” added Fuchs. Elite Futsal is no stranger to excelling in Futsal’s top competitions. The team has been competing over 13 years and has won five U.S. national titles in the open division and a whopping 10 national titles in the over-35 division, plus several youth titles. Still, the experience of last year’s CFCC should help Elite Futsal when they square off against the best of the best at the WIFC, which consists of six teams spread across five continents. “That experience [at the CFCC] was essential. It showed us that we can compete at the highest levels and place well. We hope to be even stronger and better prepared for Thailand in order to play the best Futsal teams in the world,” said Fuchs. Yet for Elite Futsal, the WIFC is about more than just a week-long competition; it’s about showing that Futsal is a sport that is here to stay in the United States. “We’re looking forward to seeing how we match up against the best in the world and learn from them. To get more experience and hopefully show that the United States has potential and bright future for Futsal,” concluded Fuchs.